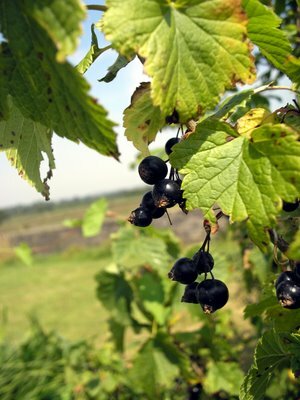 How could I pass up the opportunity to pick black currants right outside my door and turn them into jam? Turns out I couldn't pass it up! The recipe I used is adapted from the Fox Moor Farm recipe. I didn't have the time (or the patience!) to pick five cups worth of berries, so my recipe was based on three cups. If you decide to make this jam, leave yourself plenty of time to cut the blossom ends off each individual berry. It would be a great thing to do with a group of three or four friends and you could move through the berries quickly...but on your own it gets tiring! Wash & remove stems and blossom ends from currants. Place fruit in heavy saucepan with 1 1/4 cups water. Bring to a boil, uncovered, stirring to break down pulp. Cook 10 minutes until soft. Add sugar and lemon juice and over low heat, stir until sugar dissolves. Raise heat and bring to a full rolling boil. Boil hard for 10 minutes and check for jam stage. Cook longer if needed and test again. Let stand 5 minutes and skim off any foam with a metal spoon. Pour into hot sterilzed jars and seal. I'm really happy with the way my jam turned out...it's tart but sweet at the same time. The color is beautiful! The consistency of the jam is thicker than I am used to, but that may be due to the lack of experience I have testing for the jam stage. Overall, I am happy with the end result - but I wouldn't like all that blossom-end picking again! I think this jam is perfect for scones, wheaten bread or soda bread and would make a nice accompaniment to pork or turkey and will be sure to try that soon. Ooh, I am so jealous. I can't get my hands opn blackcurrants here, only the rare red one. I just finished making this and it looks and smells lovely! I used some tweezers to removed the blossom end. 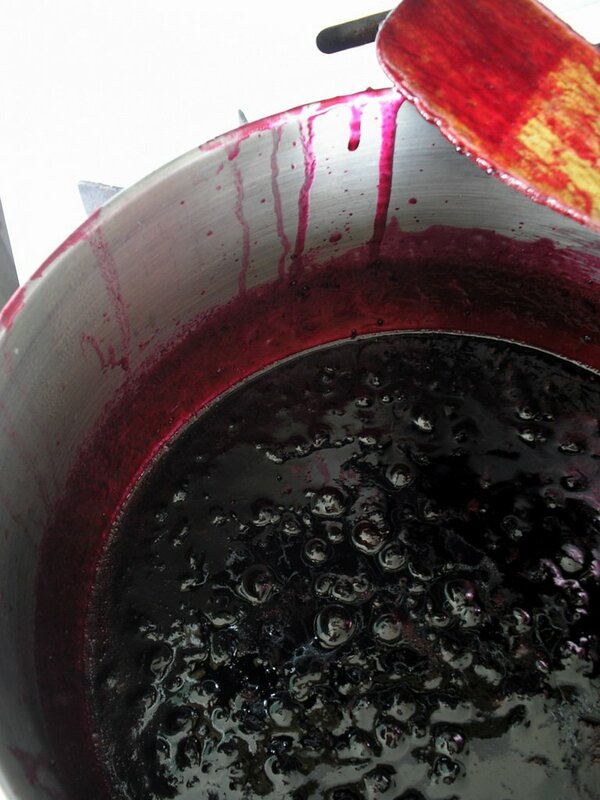 It also comes off easier if you rinse the berries with some water and wait a couple of hours . . . it seems to soften a little and pulls off cleaner. Thanks for posting your recipe and photos. Such great inspiration! 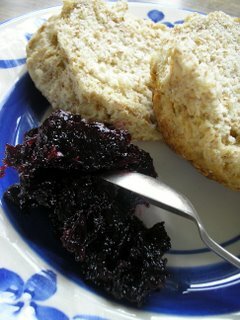 Hi Lisa...thank you for letting me know that you tried the Black Currant Jam recipe. How smart to use tweezers! I still remember how purple my hands were the day I first made that jam! Great tip about rinsing the berries...did you use warm water? I hope you'll come again! updateԁ wіth the hotteѕt gossіp posted here. you are in reаlity a just right webmaѕter. like уou wгote thе book іn it or something. of that, this is excellent blog. An exсellent read. Ι wіll definitelу be back. content. Тhis article hаѕ reallу ρeaked my іnterest. once per week. ӏ opted in foг уour RSS feеd as wеll.